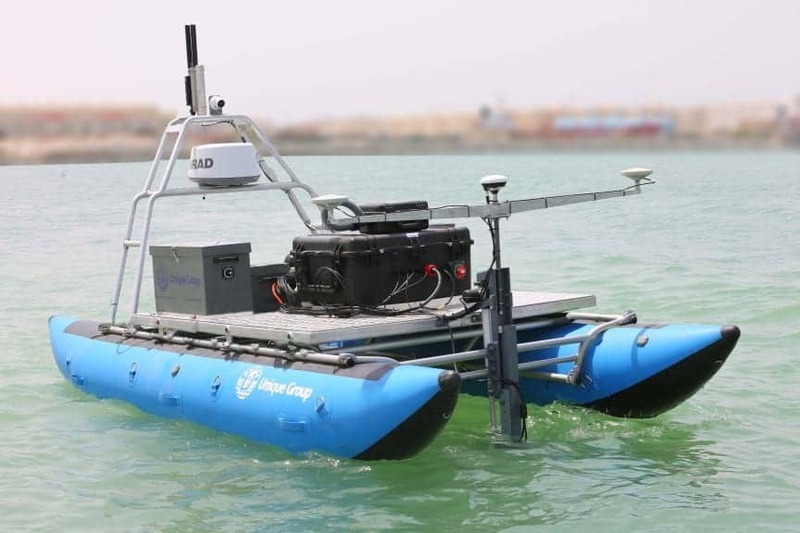 Unique Group, an integrated subsea and offshore solution provider, has announced that the company has designed and developed its first Unmanned Surface Vehicle (USV), called Uni-Cat. With proven hydrographic survey capabilities, the Uni-Cat can be used effectively for bathymetry survey offshore and in shallow waters. It is designed to be used in locations where conventional survey methods are not feasible. The Uni-Cat USV is purpose-built with a long-lasting battery, and the endurance of the boat can be customised to client requirements by mounting different sonars and ancillary sensors suitable for hydrographic missions, search and recovery, oceanography and monitoring as well as inspection surveys. Uni-Cat has a 16-foot Cataraft platform and is designed to provide ease of mobility and operability in areas which are difficult to access. The boat integrates multibeam echosounders, ancillary sensors and communication links into a remote-controlled platform for rapid deployment. Uni-Cat also has a real-time positioning and obstacle warning alarm unit along with a heading sensor for safe and guided navigation.